The Helga Otto Haub School of Environment and Natural Resources and the William D. Ruckelshaus Institute of Environment and Natural Resources carry on the work of the visionary leaders for whom they are named. In 2004, Helga and Erivan Haub bestowed a gift of $3 million upon the University of Wyoming's School of Environment and Natural Resources. Their gift qualified for a matching fund established by the Wyoming State Legislature, increasing its value to $6 million. 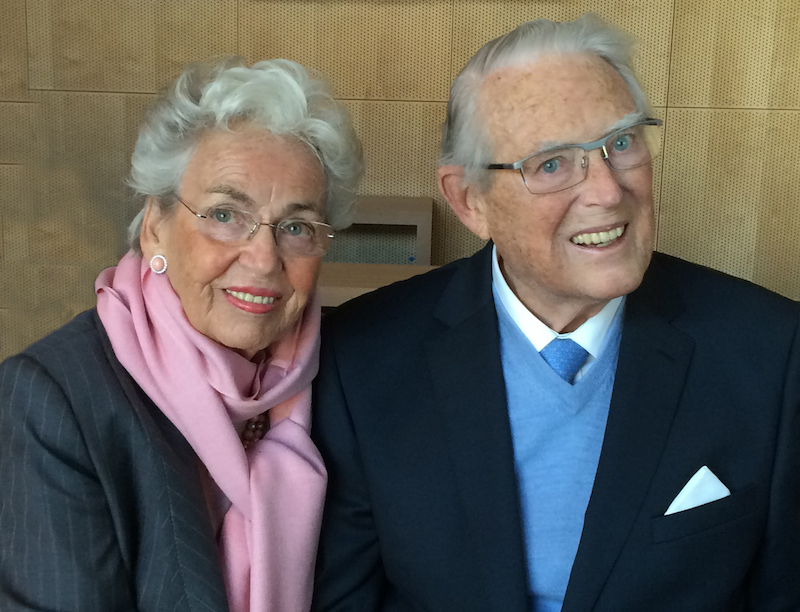 In recognition of their generosity the school was renamed the Helga Otto Haub School of Environment and Natural Resources. Originally from Germany, the Haubs own a ranch in Sublette County, Wyoming, where they have summered for the past 30 years. They served as longtime members of the Haub School board of directors. Their family-owned company, the Tengelmann Group, provides textile and non-food discounting, do-it-yourself home improvement supplies, drugstores and food retailing in fifteen countries. The Haubs have made sustainability a top priority in all their business ventures. The family's vision is for the Haub School to "further environmental education, create stronger awareness of the pressing issues related to the vast natural resources in Wyoming, and support the development of guidelines to help decision making in local and state governments." 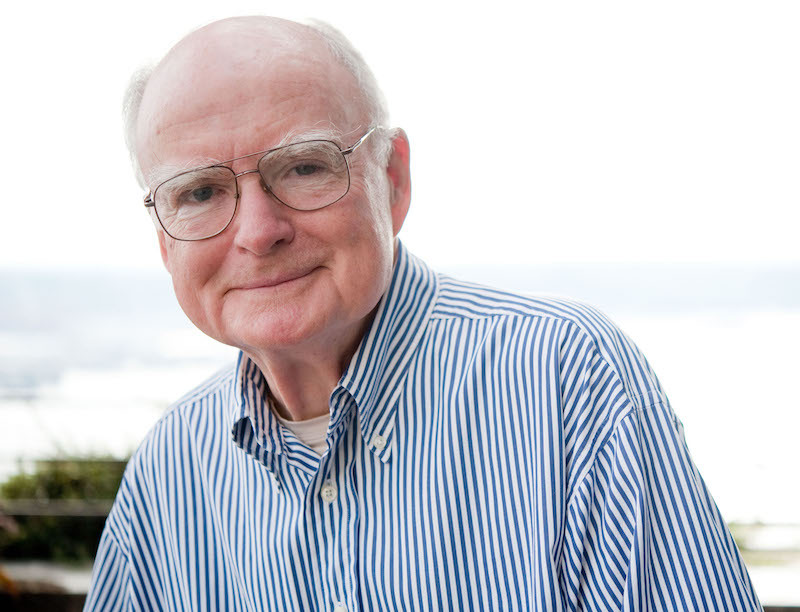 William D. Ruckelshaus came to UW in 1993 at the invitation of U.S. Sen. Alan Simpson to serve as a founding chairman on the board of a new institute dedicated to collaborative problem solving for natural resource challenges. He was a proponent of bringing together diverse stakeholders—different kinds of people who would be affected by any management or policy decision—to engage in civil discourse about desired outcomes for natural resource challenges. The goal was to build inclusive, lasting decisions that could avoid future litigation. Ruckelshaus had served in several presidential appointments, including as the first administrator of the Environmental Protection Agency (EPA) from 1970-73 under President Richard Nixon, shaping that agency’s guiding principles. Under his leadership, the EPA established a nationwide ban on DDT, a harmful pesticide that threatened birds and other species, and a requirement for catalytic converters on automobiles that greatly reduced pollution, among other projects. He also served briefly as acting director of the FBI and as deputy attorney general, before resigning to protest Nixon’s efforts to fire the Watergate special prosecutor in 1973. From 1983-85, Ruckelshaus again administered the EPA, this time under President Ronald Reagan. Ruckelshaus served on the UW Institute of Environment and Natural Resources board for nine years before becoming emeritus. In 1998, he received an honorary doctorate from UW. In 2002, UW named the institute in his honor. In 2015 he received a Presidential Medal of Freedom recognizing his efforts as “a dedicated public servant who has worked tirelessly to protect public health and combat global challenges like climate change.” Today, the UW Ruckelshaus Institute continues the work started by its namesake: supporting stakeholder-driven solutions to environmental challenges by conducting and communicating relevant research and promoting collaborative decision-making processes through training and facilitation. ﻿Learn more about Bill Ruckelshaus's experiences with the EPA in a television interview from Wyoming PBS.